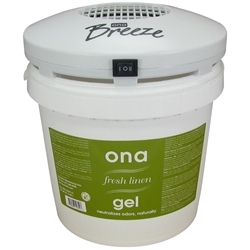 Ona (Odour neutralising agent) have been on the market since 1995. 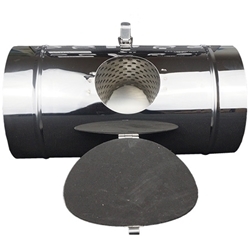 Ona products have a great reputation for making a range of products that not only smell great but also eliminate bad odours. 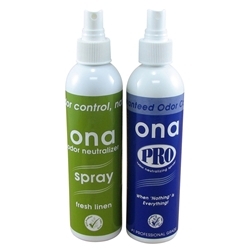 Ona products have become very successful in the hydroponic industry as their formulas do not mask smell or temporarily cover up- they get rid of smells so you can feel confident that you can keep your growing environment smelling fresh and clean. Ona merchandise is formulated from essential oils and come in different varieties including Oils, aerosols, liquids and gels.